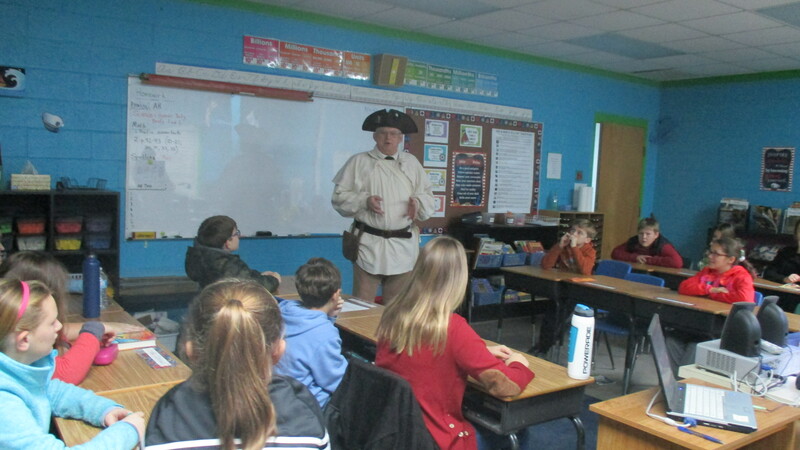 Halifax Resolves SAR member Ken Wilson recently visited two classes at Halifax Academy. First, the fifth grade students were informed about the upcoming SAR Americanism Poster contest, the subject of which is a Revolutionary War Patriot. The rules were explained and numerous questions asked and answered before Wilson mentioned some of the notable Patriots who fought in or supported the war. 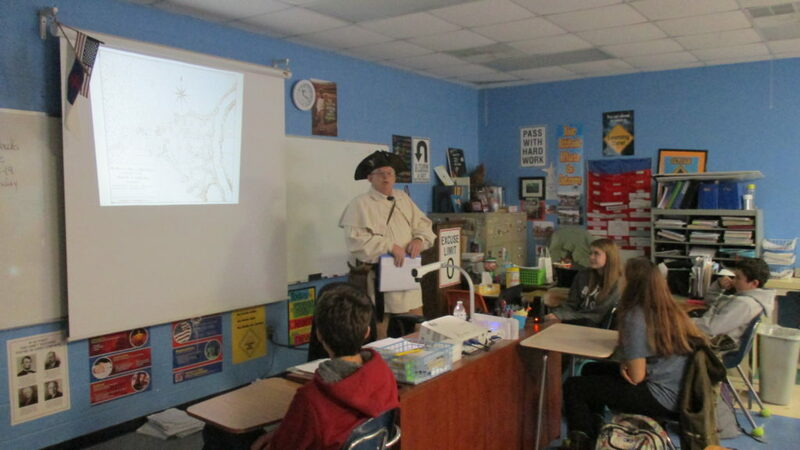 Wilson next visited the 8th grade Social Studies class and informed the class of the upcoming SAR Brochure contest based on the five Founding Documents. The rules were explained and questions answered. A presentation was made entitled “Halifax and the Revolution”. This presentation stressed the importance of Halifax during the Revolutionary War as an unofficial state capitol, training center for the troops as well as a supply depot. Several stories pertaining to the local area during that period were also presented.